On November 29th we are partnering with Minsk.rb, a group of local Ruby developers who get together to share their knowledge and experience. 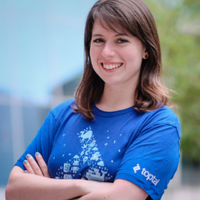 The meetup will be a great opportunity to meet fellow developers in the area and Toptal’s core team members who are in town like Ines Avdić-Zekić, Toptal’s Technical Sourcer, and Asia Lindsay, Europe Community Lead at Toptal. The event begins at 7:00 PM at Event Space. For more information, please see the event website.